SHELLEY SWEENEY (left) and LYNETTE COOPER say that they have nerves of steel, They need them as they're the first womens sidecar team to race against men in Australia. The pair have set alight the Mount Isa circuit in far Western Queensland, mixing it with up to nine mens team. Earlier this year they won their first event against the blokes, and are looking to notch up many more. It can be dangerous but I love the thrill says Shelley, as for Lynette she has only taken up the sport this year. 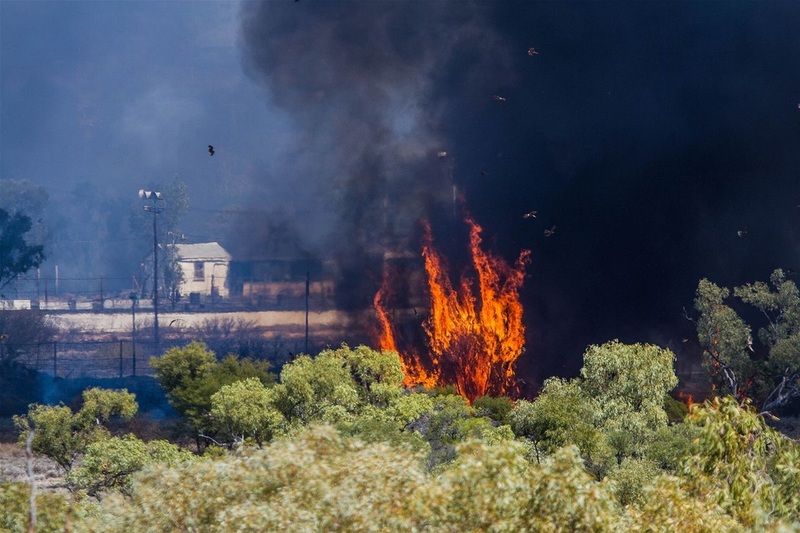 Fire fighters are investigating the cause of a spectacular blaze at the Mount Isa speedway, which took more than five hours to bring under control. A plume of black smoke could be seen from town and attracted packs of spectators, Aside from battling the blaze, some fire fighters also had to battle with traffic to get to the fire scene. The blaze burnt out twenty hectares of grass, two derelict houses, power lines and poles, stacks of tyres and the speedways old commentators box, twenty five fire fighters, five fire tankers, three city council water tankers and some private tankers were on the scene. At one stage there were concerns that the fire would jump Duchess Road, but fire crews managed to prevent that from happening. The Mount Isa Go Kart Club is now cleaning up before it hosts the 2012 AKA National Dirt Track Championships in less than three weeks. Local Tyre businesses are donating used tyres, and Ergon Energy is promising to quickly install new power poles and power lines.